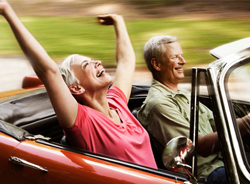 If you are a senior, retirement is big on your mind. Where will you retire? What types of things will you do? Will you travel or golf? Will you be able to make new friends and enjoy the activities you already love? Will you learn new things and enjoy fun events? At Vienna Square, you can do it all and still have your independence and freedom. Vienna Square is the finest in senior retirement. The best in Florida retirement communities, Vienna Square offers you luxury on a budget with a centralized location and many great amenities and features. Rated as one of the best retirement communities in the area, we strive to exceed your needs and make you feel right at home. Located in Winter Haven, it is central to both of Florida’s coasts. Vienna Square offers golfing, fishing and many more outdoor activities. Florida offers great weather all year long to be outdoors and have an active lifestyle. Take your visiting family around the Winter Haven area to a sporting event or a local eatery. Go shopping or visit museums. You can even visit a country club or fly over one with a bi-plane ride. Our site-built homes offer numerous standard features and options, including under-roof screened verandas, concrete block construction, two-car garages, walk-in closets and a wealth of additional upgrades to make your home unique to you. 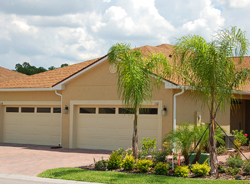 We offer resort style living with our maintenance-free villas and single-family homes. Services such as lawn and laundry make you feel like you are on a permanent vacation. Our goal is to pamper you. We take care of most of the hassles of home ownership so you can enjoy your senior retirement to the fullest. 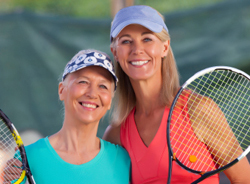 Our community is geared for the active adult lifestyle. 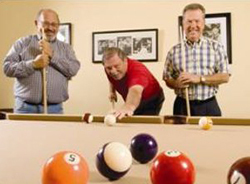 We offer a clubhouse with many social events and happenings on a regular basis. There are many things to do. You will not get old living in our community. You will stay young at heart and young in mind, body and soul. This is senior retirement living at its best! We have re-invented retirement to provide you with comfort and care. You do not have to worry about your wellbeing. Leave that to us. Our Secure Care Pledge is to provide you with the best care in the industry in the comforts of your own home. We have a full range of care services at your disposal if you need them. As you progress into your older years, we are here to help you make the best of them. That is why we are one of the best retirement communities in Florida. No matter how active you wish to be, we are here to provide you exceptional quality, comfort, affordability and an overall experience of fun. Contact us today to learn more about Vienna Square and our senior retirement living.